Ty Burrell's new Beer Bar serves 150 brews and a rotating roster of three to five beer cocktails like the ones below, all food-friendly and refreshing. This beer cocktail is relatively low in alcohol, making it a great aperitif. The wintry flavor comes from allspice dram, a liqueur originally from Jamaica. Beer Bar's take on the French 75 calls for Orval, a dry and delicate Belgian ale, but any other good Belgian ale would also be delicious. 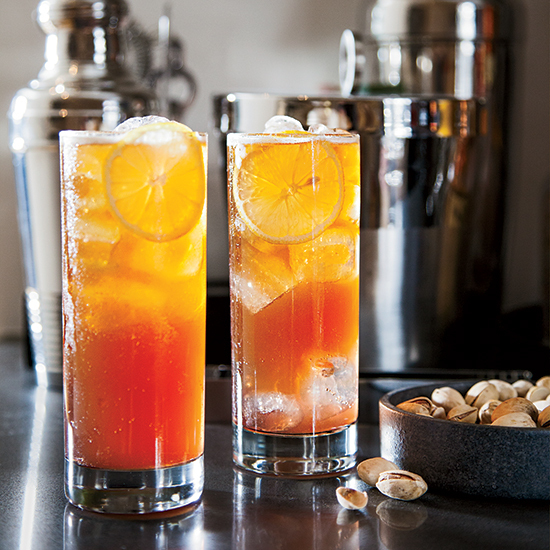 This slightly spritzy cocktail features India Pale Ale and Old Tom, a style of gin popular in the 1800s that's a little sweeter than modern versions.